Every year, hundreds of hikers attempt to traverse the 2,181 miles of the Appalachian Trail that stretches from Georgia to Maine. The typical journey takes at least four months. In 2011, long-distance hiker Jennifer Pharr Davis accomplished it in a little over 46 days. She became the trail’s overall speed record holder and the first woman to do so. Thursday evening, Davis visits the National Geographic Museum to share her story about this incredible achievement. National Geographic is giving away a pair of tickets to a lucky WeLoveDC reader for the event. (See the end of the article for instructions on how to enter.) Davis sat down with WeLoveDC to talk about her accomplishment and time on the trail. What inspired you to attempt the fastest hike of the Trail? I had hiked the trail twice before, once in 2005 as a traditional thru-hike taking 4 months, and again in 2008 where I tried to set a new women’s record. I did that, hiking the trail in 58 days and averaging 38 miles per day. But coming off Springer Mountain, the southern terminus of the Appalachian Trail in Georgia where I finished my hike, I knew instantly that I had a lot left in the tank and that I hadn’t pushed myself to the max. So I immediately starting contemplating the possibility of doing it faster and of possibly trying to break the overall record of 47 days. There are pirates in Washington. If you doubt, head over to the National Geographic Museum between now and September 2; the Jolly Roger flag hanging from the flagpole should convince you. If you need more persuasive evidence, head inside and wander through the museum’s latest exhibit Real Pirates. From fore to aft, this exhibit rolls up the past, present, and future of the pirate vessel Whydah. Originally designed and used as a slave ship along the American-African slave routes, the Whydah was captured by pirate captain Sam Bellamy and used in his fleet to pillage more than fifty prizes across the Carribean. On a course for a New England harbor, the Whydah, her captain, and her crew ran into a violent nor’easter near Cape Cod and sank beneath the waves. With it went a hold full of pirate treasure and most of the men on board. 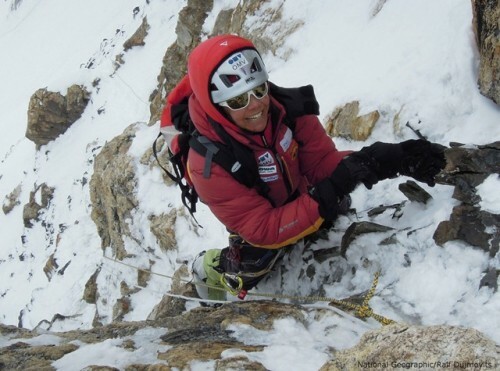 Tonight, Gerlinde Kaltenbrunner takes the stage at the National Geographic Museum. A prolific mountaineer, Ms. Kaltenbrunner is best known for being the first woman to summit all 14 8,000 meter peaks without supplemental oxygen or porters. 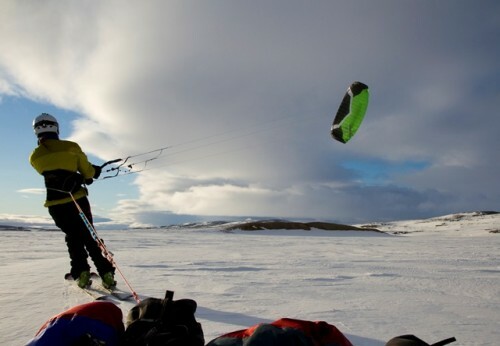 She was nominated as one of NatGeo’s Adventurers of the Year for 2012. If you told me that there was a restaurant in town where I could get a delicious, savory 12-course meal for $55, I’d at least raise an eyebrow at you. 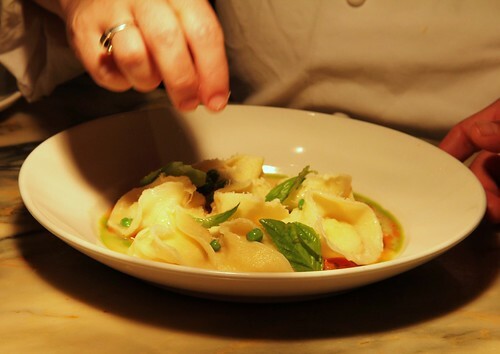 But Casa Nonna in Dupont Circle is offering just that at their new in-house concept, Tavola 12. The 12-seat tasting bar is available on Fridays and Saturdays and showcases executive chef Amy Brandwein’s culinary talent. You can leisurely sit at the bar while chatting with Amy, watching each course be prepared by the chef and listening to the chef explain each course. You can add wine pairings to the dinner for an extra $30 per person. While the menu changes based on what the chef wants to prepare for the night, you’ll find a quick recap of some of the highlights I tasted at Tavola 12 after the jump. A first glance at the title “Demon Fish: Travels Through the Hidden World of Sharks” would probably invoke visions of bloody feeding frenzies, mouths full of razor-sharp teeth, and the sleek arrow-shaped bodies of deadly sharks. With, of course, the appropriate Jaws theme rolling around in our heads. And we couldn’t be more wrong with that impression. Juliet Eilperin, a national environmental reporter for The Washington Post, has the spotlight this evening at the National Geographic Museum. And what she’ll be sharing with tonight’s audience will be somewhat removed from that first glimpse of her book. Despite its fearsome title, her work is more of a revelation of this sleek, deadly species that cruise the ocean’s depths (and shallows). 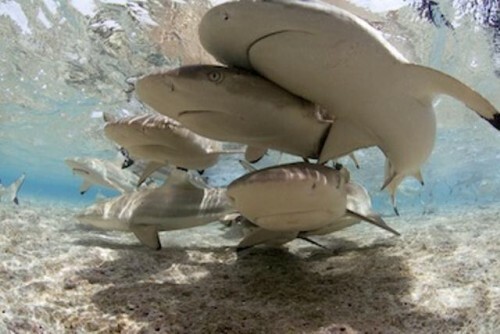 Let’s face it: sharks have held a solid spot of fascination in our collective conscious, often as one of fear or as an image of ‘terrible beauty.’ Eilperin shines another light on sharks, however – conservation. Demon Fish strives to expose the intricacies and personalities of the shark-human relationship and reveals it’s not all about blood, teeth, and gore. 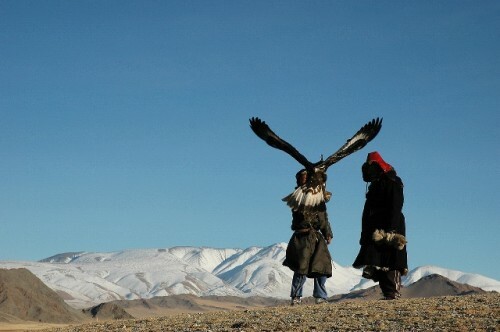 Starting tomorrow, the National Geographic Museum hosts the 2011 All Roads Film Festival. The five-day festival showcases nearly 40 films in 24 countries, created to provide an international platform for indigenous and under-represented minority-culture artists to share cultures, stories and perspectives through the power of film and photography. This year’s theme is “Stories That Shape Our World” and National Geographic is giving WeLoveDC readers a chance to win a pair of all-access passes to the festival. 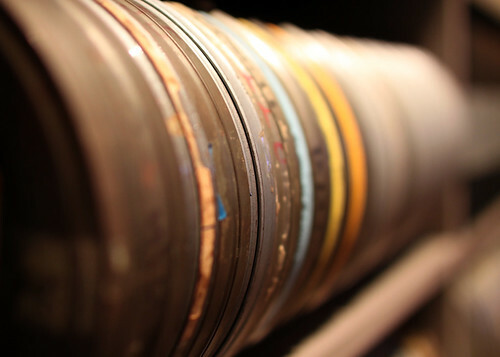 The five-day event also will include a “Global Groove: DJ Dance Party,” hosted by DJ Dave Nada and DJ Underdog, panel discussions by a number of the filmmakers and two photography exhibits. One photography exhibit will feature works from three provocative voices in the photography medium, each at different points in their careers; the second is an exclusive view into two cultures where photography by outsiders has been severely restricted. Several filmmakers will participate in two panel discussions, “Latinos in Modern Media” and “Indigenous Communities, Film and the Environment,” as well as discussions following their film screenings where they will talk about their careers and the continuing innovation of indigenous filmmaking. It’s slowly getting a little cooler outside, which means that I can actually spend extended periods of time in my kitchen without melting. So here’s a recipe from Amy Brandwein of Casa Nonna for a homemade tortelloni stuffed with a delicious and soft cheese mixture. Don’t be intimidated by the length of the recipe or the idea of making homemade pasta. Turn on Netflix or your favorite playlist and spend a few hours in the kitchen with your pasta. Not a bad way to spend an afternoon on the weekend, if you ask me. 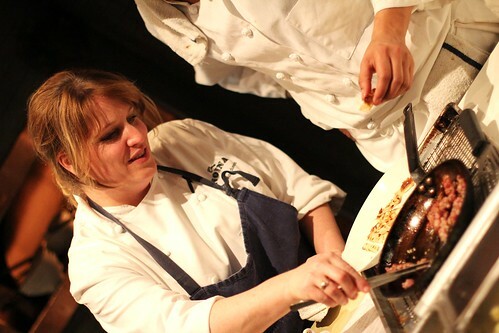 As I watch chef Amy Brandwein call out orders to line cooks across different stations while juggling dinner tickets and checking plates before they go out, I can see how she managed three jobs, planning a wedding and culinary school all at the same time. 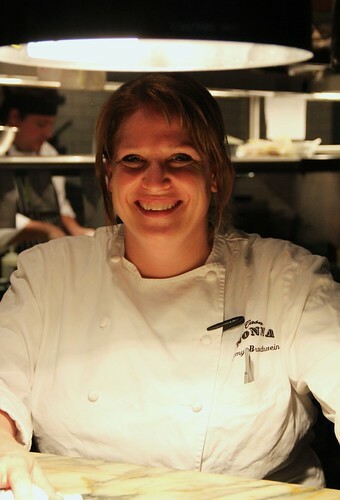 The executive chef of Casa Nonna says that even 10 years into her career as a chef she still feels like she’s just scratching the surface. “The learning never stops. 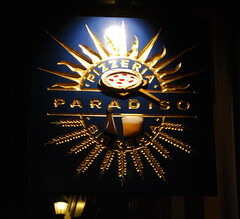 I’m an inquisitive person by nature,” says the chef who gravitated naturally towards cooking Italian food. “There are all different regions [of Italy] with their own foods, their own dialects.” Each month Brandwein focuses on a different region and its food at Casa Nonna. Prior to becoming a chef, Amy was doing political research for a lobbying firm in DC but was “cooking in all her spare time.” Growing up, her dad was a good home cook and vegetable gardener who was always clipping recipes and inspiring Amy. So when she came to the fork in the road of her career, Brandwein decided that rather than go further into politics, she would go into cooking. “I didn’t want to waste any time not doing what I love to do,” the Arlington native says. So she went to culinary school and started staging at Roberto Donna’s Galileo. I love history. 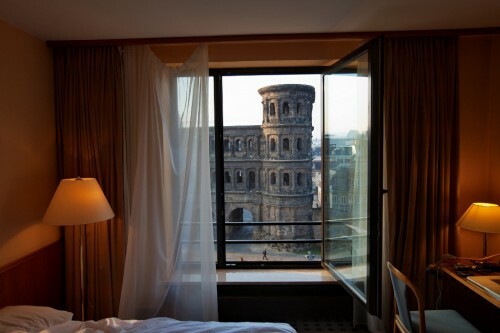 And for me, the older the history, the more I love it. There’s something that fascinates me about seeing how the first people of a given culture tried to figure out the concept of civilization. And for the first couple of millenniums of human history the difference between civilized and true barbarism was incredibly fine. 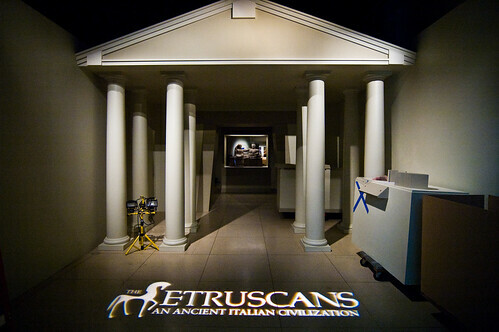 But sadly, DC doesn’t have a large selection of museums that cater to ancient history nerds like me. The Smithsonian’s Natural History Museum has an exhibit which hasn’t been updated since I was in elementary school; and Dumbarton Oaks Museum has a nice collection on the Byzantine Empire, but that is more medieval history than ancient. There isn’t much else without going to another city. What would you do, what would you go through, to be the first explorers to the South Pole? Would you go through months of trekking through -40F degree cold, on a strict ration of food, constantly freezing and wet, and risking death every day? If that sounds like a great time, the National Geographic has the exhibit for you! 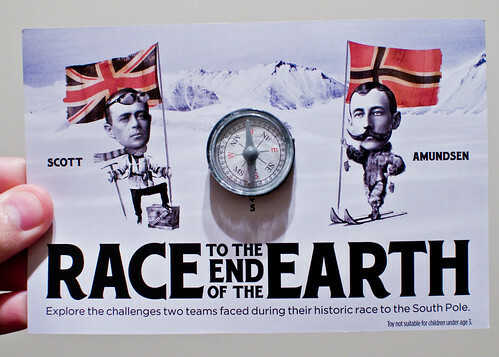 To celebrate the 100th anniversary of the first men to reach the South Pole, the National Geographic Museum is hosting an exhibition entitled Race to the End of the Earth. It recounts the challenges of two explorers during their race to reach the South Pole. On a 1,800-mile journey through Antarctica in 1911, explorers Roald Amundsen of Norway and Robert Falcon Scott of Britain fought the elements and raced each other to gain the honor. The exhibit is well suited for the National Geographic, because it adds the adventure and exploration elements to a fascinating and not well known historical story. 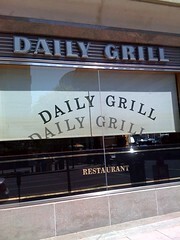 Keeping pace with the exploding trend of gourmet burgers, famed DC power lunch spot Daily Grill has jumped into the race with a selection of burgers good enough to put a smile on the face of even the most disgruntled K St. warrior. Elizabeth Rich and Alexander Strain in Theater J's "Photograph 51." Photo credit: Stan Barouh. 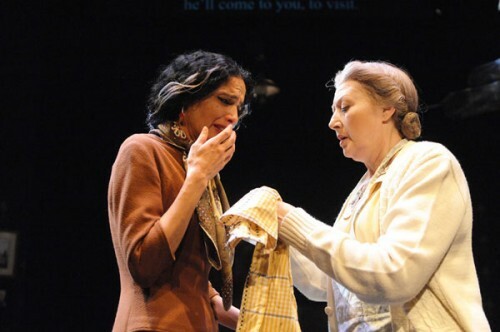 Biographical plays can be tricky. The best – works like Peter Shaffer’s Amadeus or Hugh Whitemore’s Breaking the Code – have come to brilliantly define the genre but also created conventions that theater audiences now take for granted. There are the poetic monologues illustrating the main character’s motivations, the chorus or narrator trying to shape the life for you (either trustworthily or not), crazy jumps in time, and an overall attempt to make some philosophical sense out of a life. The pitfall is, a life may not necessarily have a theme other than the playwright’s desire for one. Playwright Anna Ziegler teases some sadly beautiful metaphors out of the life of scientist Rosalind Franklin in Photograph 51, now playing at Theater J. It’s a swift ninety minute production with no intermission, befitting the race it depicts but perhaps also the difficulty in breathing theatrical life into what was an intellectual and lonely pursuit. 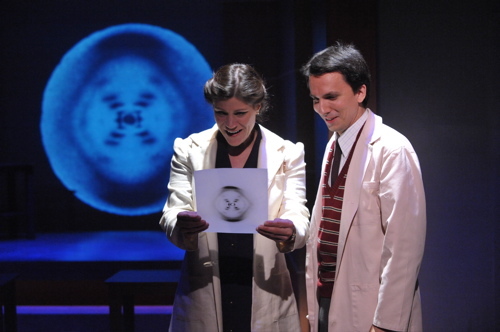 If you have a young niece or daughter whose interest in science you want to encourage, this may be the play to take her to – or not, considering it’s a deeply discouraging look at the boys’ club Dr. Franklin struggled against in her quest to map the contours of the DNA molecule. First of all, a very big “thank you!” to all our readers. National Geographic took a chance last year with WeLoveDC in letting us give away event tickets through our site and WOW did you guys exceed expectations! 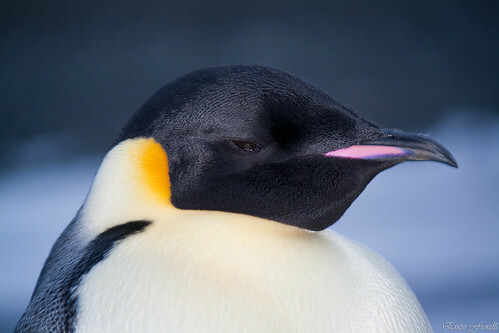 So on behalf of WeLoveDC and National Geographic, thank you for supporting the NatGeo Live program. To enter the drawing, simply comment below using your first name and a legit email address, listing the two events from the following program list you’d like to attend. (Note that there are a few events not eligible and we’ve noted them for you.) Sometime Monday (Feb 28) in the afternoon we’ll randomly select two winners to receive a pair of tickets (each) to one of their selections. You’ve got until noon on Monday to enter! We all know about the proliferation of frozen yogurt spots in DC over the past few years, and frankly I’ve gotten bored with them – especially now in the winter when my chattering teeth can’t take it. So I was intrigued when invited to a media preview of a new yogurt place that serves up it fresh instead. Yola is a “fresh yogurt parfait bar” in Dupont Circle started up by Laura Smith, Owner and Food Director, and her father David Smith, as a way of highlighting the fresh yogurt and smoothie bars Laura had enjoyed in Europe. Though at first glance it looks like any frozen yogurt bar, with the usual bins of fresh fruit and crunchy toppings, the yogurt selections are all made fresh by two local family farms – Blue Ridge Dairy in Leesburg, VA and Trickling Springs Creamery in Chambersburg, PA. Blue Ridge supplies Yola with both thick Greek-style yogurt and regular low-fat yogurts like honey and vanilla, while Trickling Springs goes for flavors such as maple or the old-reliable chocolate. 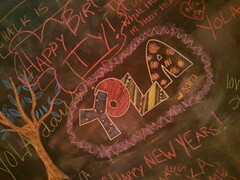 I felt instantly Yola was going to become a favorite breakfast haunt of mine. It just has a cute, friendly vibe.